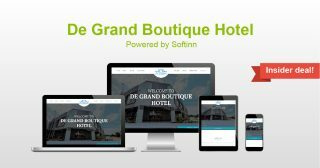 De Grand Boutique Hotel is the first boutique hotel in Sepang and it is strategically located near to Kuala Lumpur International Airport. The hotel is just merely 8 minutes drive from the airport and in order to serve the guests better, the hotel provides airport transfer around the clock. Their indoor facilities included a home gymnasium, conference room and a snack corner that serves western and local delights. Get 5% OFF FROM TOTAL when you book now at De Grand Boutique Hotel! Use promo code: SOFTINNVIP upon check out. Valid till: 2018-06-23.